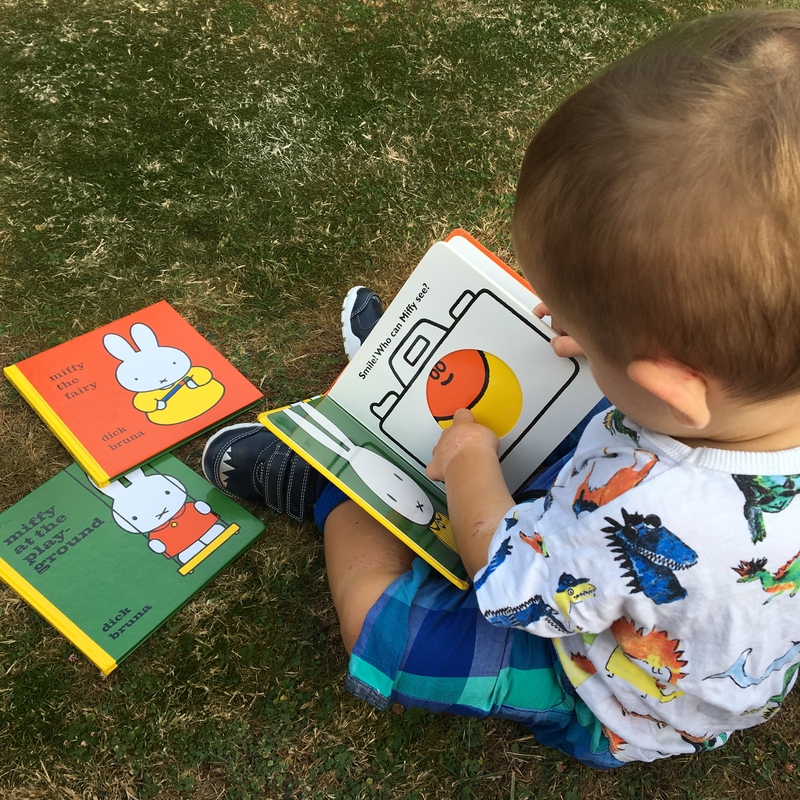 For Henry I took new a few Miffy books*, a new Peppa Pig book called “Peppa goes on holiday“, a Paw Patrol magnetic scribbler, Melissa & Doug Animals Wooden Mini-Puzzle Set and Paw Patrol snap playing cards (which Henry is far too young for but being a Paw Patrol fan he likes all of the characters faces). Henry is under investigation for various allergies and intolerance so he still has follow on formula milk for his bed time bottle. I decided to take some ready made formula milks for us to use in case he didn’t like the local milk on offer – to have in his breakfast cereal and to serve as his bed time bottle. 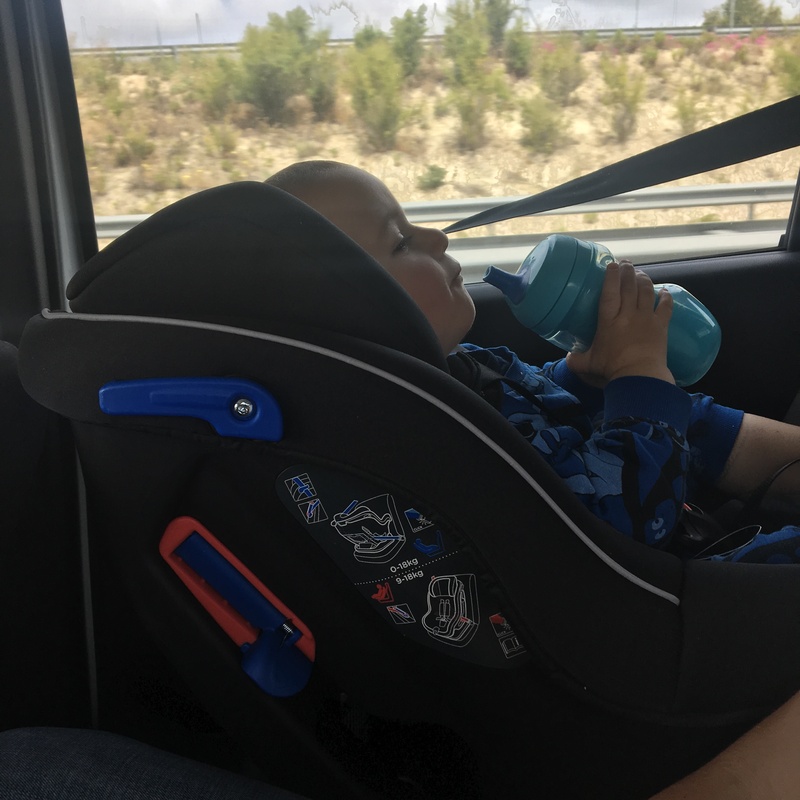 Some days he was fussy with his eating, so having the extra formula milk was a life saver to ensure he was having enough intake of fluids and nutrients – especially in the intense heat too. Whether you’re self catering or all inclusive, we all know that toddlers like (and need) to snack and they do have their favourites. Sometimes life is so much easier, when needs must, to give your little one a snack you know that a) they will like and b) will keep them quiet for a few minutes!! Whether you choose to offer rice cakes, rusks, vegetable crisps, pouches, whatever you give them when you’re out and about – I strongly suggest packing a few snack essentials in your hand luggage and hold luggage! When travelling and staying in a hotel that may be hot and lacking refrigeration, be mindful to have some heat resistance snacks at the ready (no one wants soggy split bananas lying around). 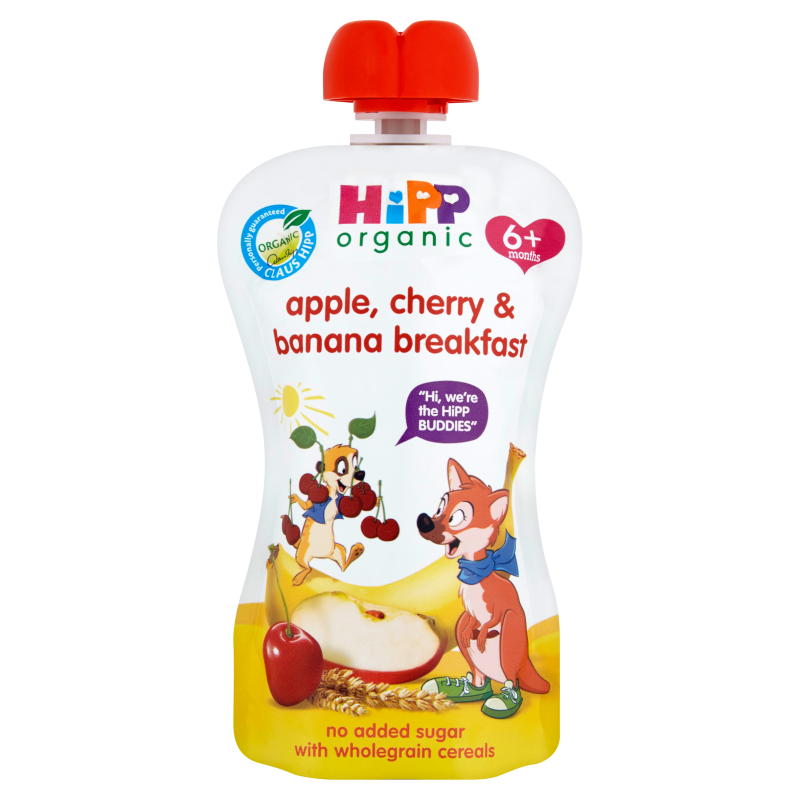 I don’t use many pouches, but I found the HIPP Organic breakfast, cereal and porridge pouches so handy for our early morning flights when Henry needed a quick and easy breakfast sometime between boarding and being 36,000 feet up! I bought these from Ocado. It may be another obvious one to mention, but do remember to allow around 5kg of your luggage to go on snacks, ready made milks and nappies for a week away. Just think of the space you’ll save coming back for all of those souvenirs! I actually wrap every nappy in to a nappy sack, which makes it easier on board a flight, on the beach, by the pool, at dinner etc – it’s much quicker grabbing a nappy already in a sack without having to rummage for a sack from a different compartment in Lord knows what bag you packed them in! Speaking of nappies. 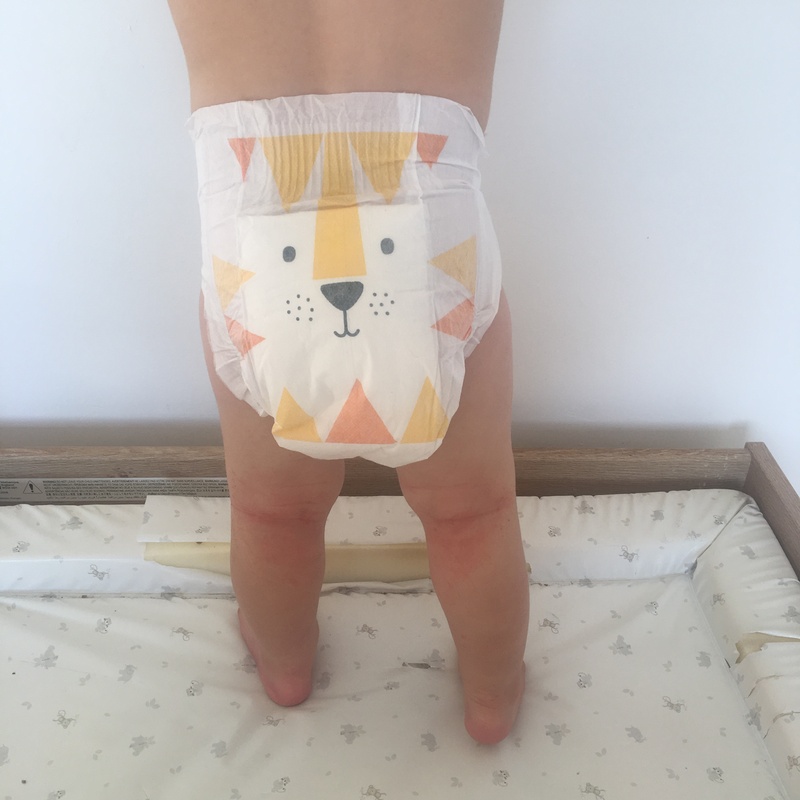 Due to Henry’s numerous allergic reactions lately, we are really stripping back on what we use on him at the moment and I’m currently using Kit and Kin nappies and sacks* – their eco nappies are hypoallergenic, sustainable and incredibly absorbent. So much so that when Henry does a number 2, these nappies (I think) are the only nappies to keep such odours at bay!! It’s really impressive! They’re multi award winning, available on subscription but are now also available in Boots. 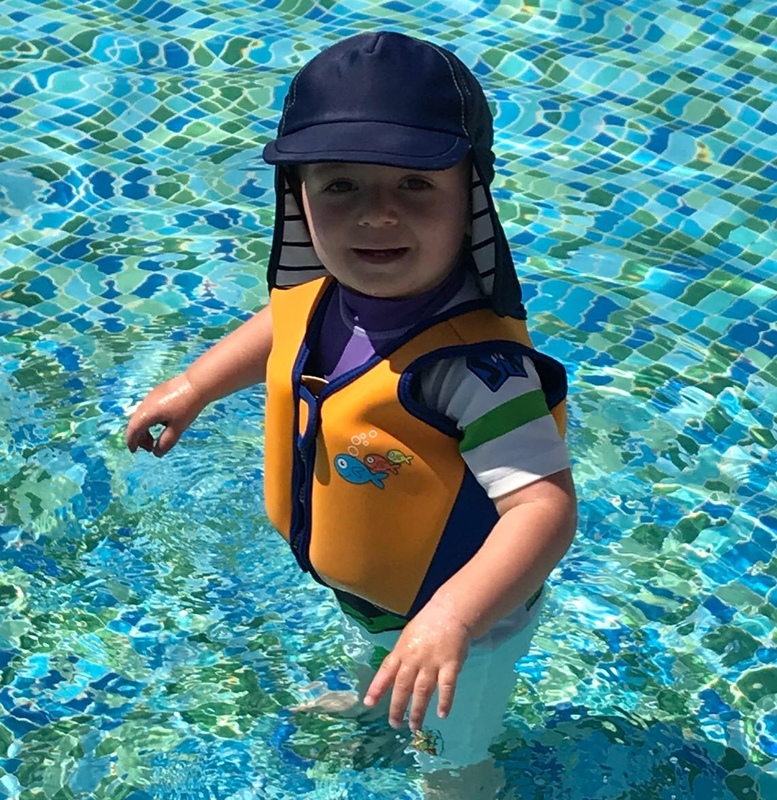 Kit and Kin nappies and wipes were invaluable on our holiday – increased heat, itchy sand, chlorine from the pool etc can all together irritate and I found their hypoallergenic products a peace of mind – especially when his eczema and heat rash combination on his body was causing me (& him!) some grief at times. I was sent this brand to try a while back and have been sold on them ever since. It’s been a long time since I used these, where sterilising items becomes less strict (or so it was when I was advised so). But when travelling abroad, I still prefer to sterilise his bottle teats, dummies and even cutlery after washing them up just to be on the safe side, away from any water for which we are strongly advised against to drink. And without a kettle in our room I was unable to use boiling hot water to help sterilise whilst washing up. Henry’s two favourite bunny plush toys, his Woody (from Toy Story) and a blanket he’s had from birth were a life saver when settling him at night time. Familiar smells and comforters undoubtedly soothe and provide reassurance and calm. 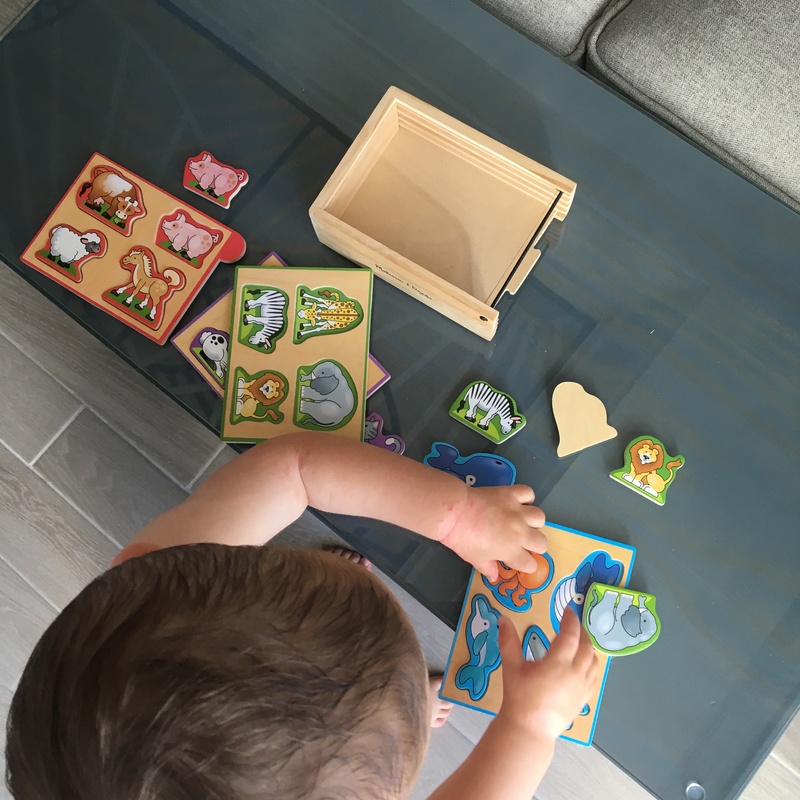 Henry’s eczema flares up in the heat and when those pesky food intolerances kick in, so I needed to make sure I took skin care products that work best to calm his skin in times of need and also to help be prepared for heat rash too. 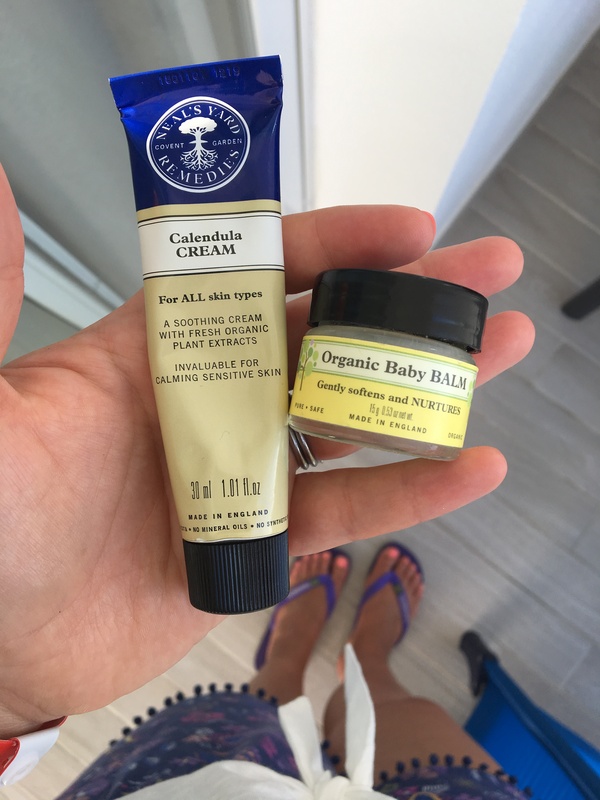 I use Neal’s Yard Remedies baby balm (it’s so delicate it’s suitable from new born) and also their handbag size tube of calendula cream – which soothes and calms sensitive and flared skin. This in itself is a wonder product – I’d place on affected areas at bedtime and by the morning, all signs of heat rash etc had gone. Not forgetting items for protecting against UV rays and the heat – including a sun hat and swim suits. I also bought a Swimbest Swim Jacket for Henry to wear. Not only do the floats in these jackets keep them, well, afloat, but I think it helps to keep their torsos warm in unheated swimming pools. Toddlers are far more active than babies, running around at any given opportunity (sometimes even straight for the deep end. #facepalm), so although this float won’t necessarily keep them vertical in deep water it will certainly keep them above water! 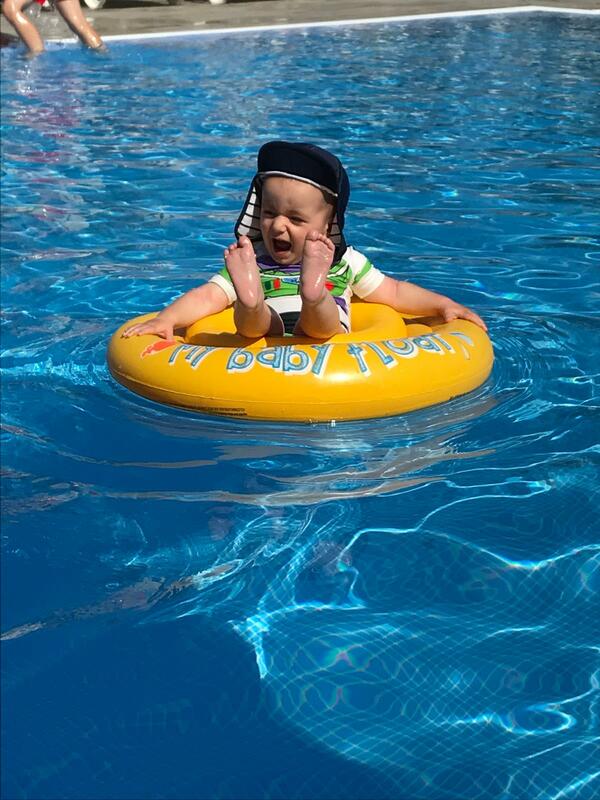 I also got Henry a My Baby Float which helps free your aching biceps after a while of carrying them in the water! When we went to Menorca last year, we have a very short coach transfer where Henry sat on my lap and once in resort we had no plans or intention to get in a car anywhere. For our holiday to Spain this year, we needed to take a car seat with us because we were going to be getting a taxi to our hotel from the airport. I don’t care for rules and regulations overseas, whether car seats are mandatory or not, but the safety of our kids is paramount and I wanted to take a car seat with me. Make sure you check with your airline what their policy is regarding car seats. We flew with Ryanair and we were allowed to take a car seat (placed for free in the hold as over sized luggage). I got a new car seat for our holiday, as our current car seat is really heavy and secured in to our car. I wanted to get a car seat that I can use for a few years, which can be strapped in using a seat belt and not Isofix and that after can be put to good use as a back up car seat or used by Grandparents/childminders. 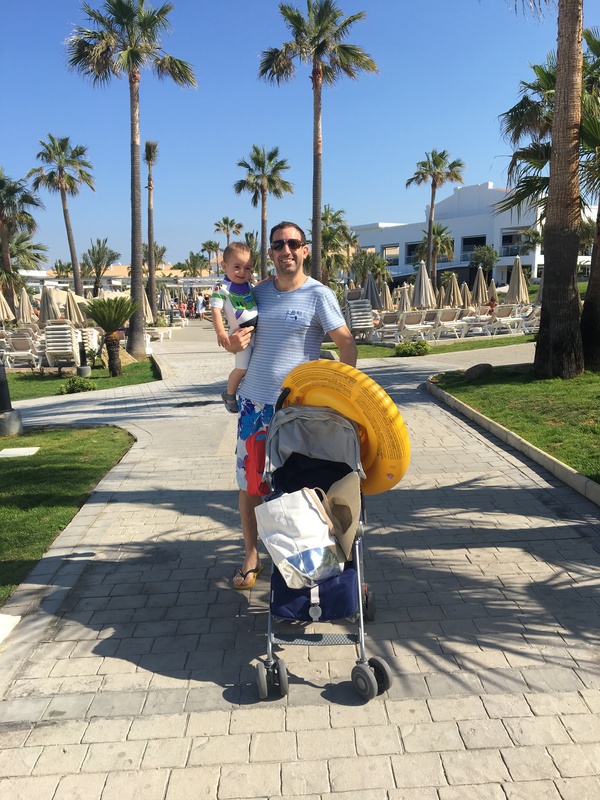 I chose a Mothercare car seat* which was perfect for ticking all of our boxes. 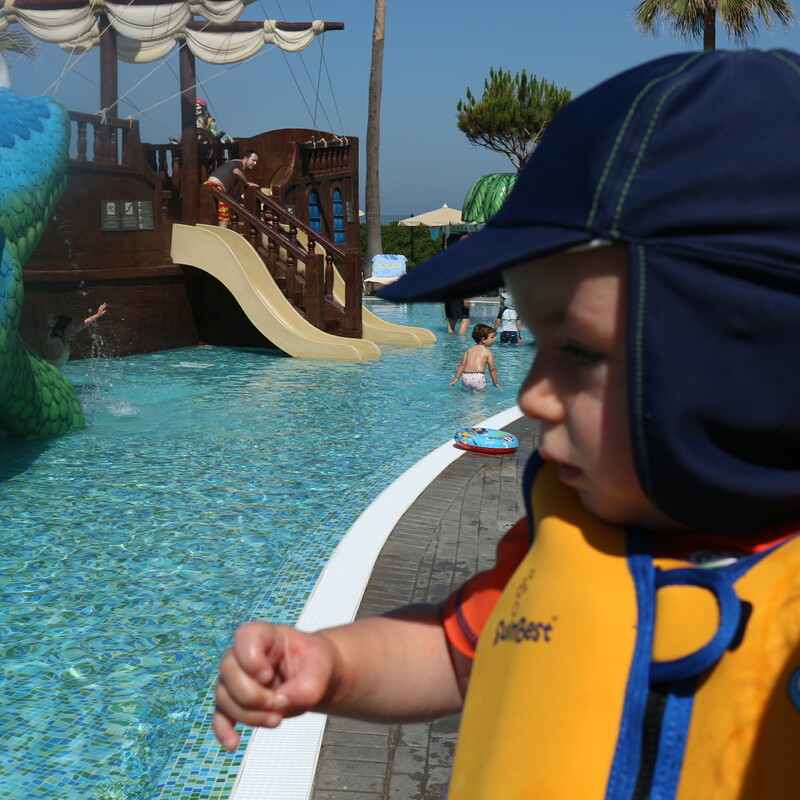 We stayed at the Riu Chiclana hotel resort near Cadiz in Spain. I researched hard for a hotel that met all of our requirements. Henry is still too young to join kids clubs and some babysitting and crèche services, so it was important for us to find a hotel that still had plenty for him to enjoy. 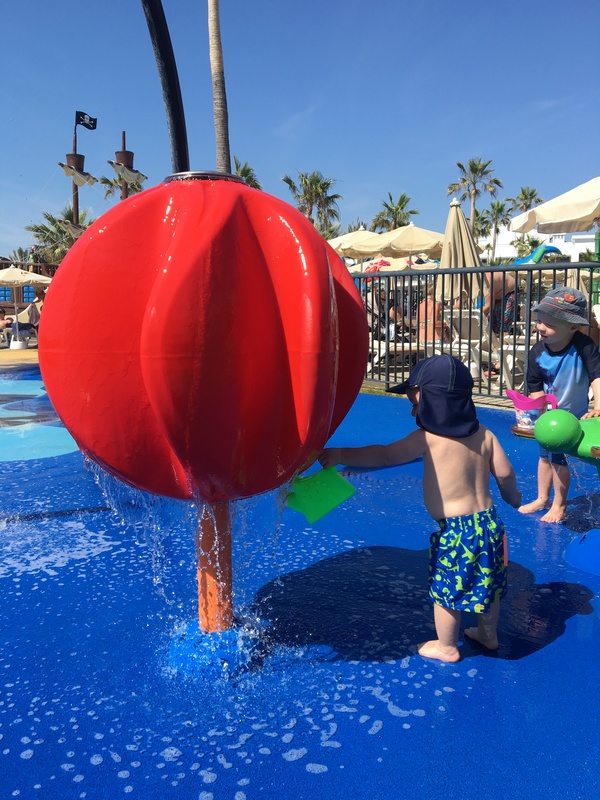 This hotel had swimming pools, a baby pool (the size of a large jacuzzi with a small slide), a kids pool with a pirate ship and slides, a splash park (which Henry was obsessed with) and also a playground. So in-between all meals, nap time and a daily beach walk, there was ample amount on offer for us to keep him entertained all day. I bought Henry a cheap watering can from a nearby shop and he was entertained in the splash park for HOURS! The hotel does have a large soft play area and amazing kids clubs, which are available for little ones from the age of 2. Their early evening kids disco is fun too for when they’re a bit older. A loaded buggy! So much stuff to take just for a few hours at the pool! 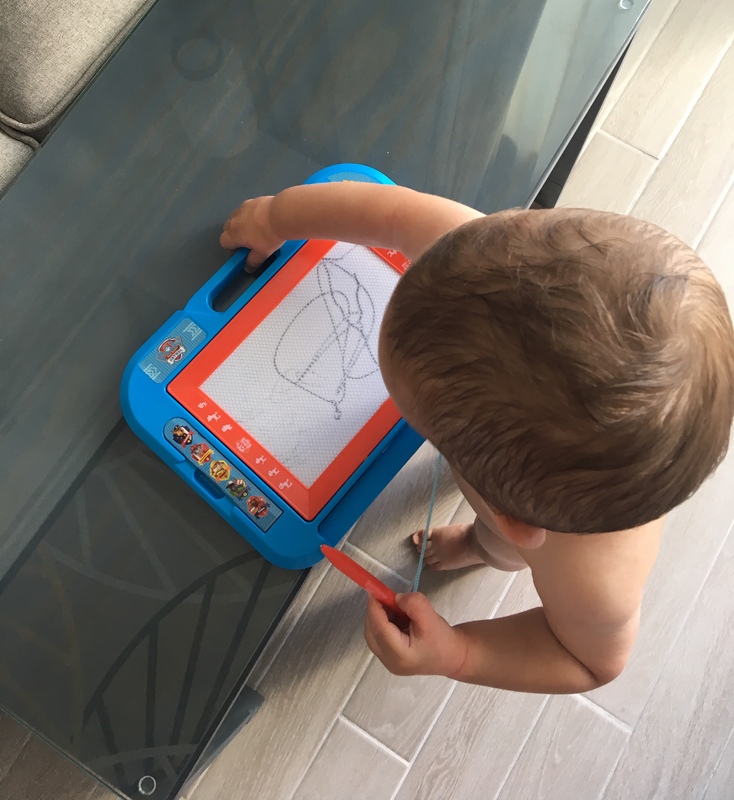 Henry is 18 months old as I write this post, so technically he is a young toddler and thus my tips may well change as he ventures in to the slightly older toddler years. If any of you have any tips to share with me as he gets older please do let me know! 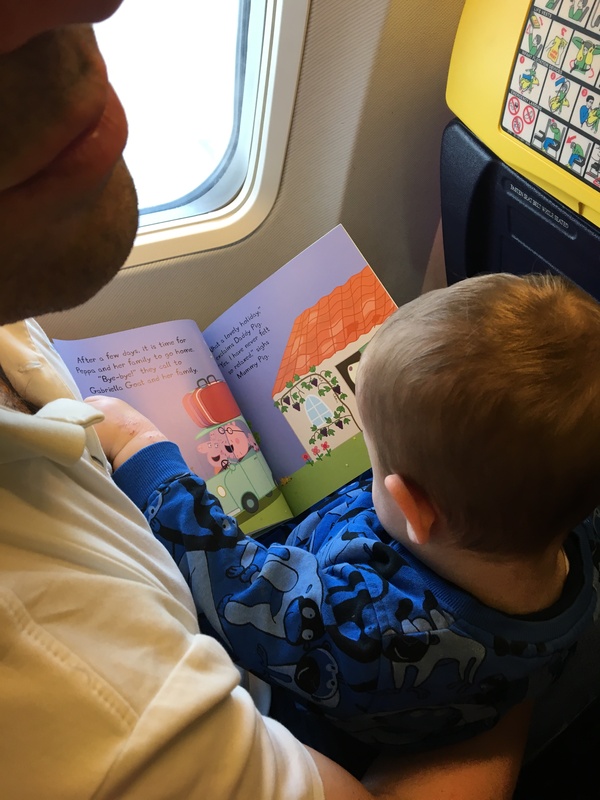 I hope this post has been useful if you’re travelling with a toddler any time soon. 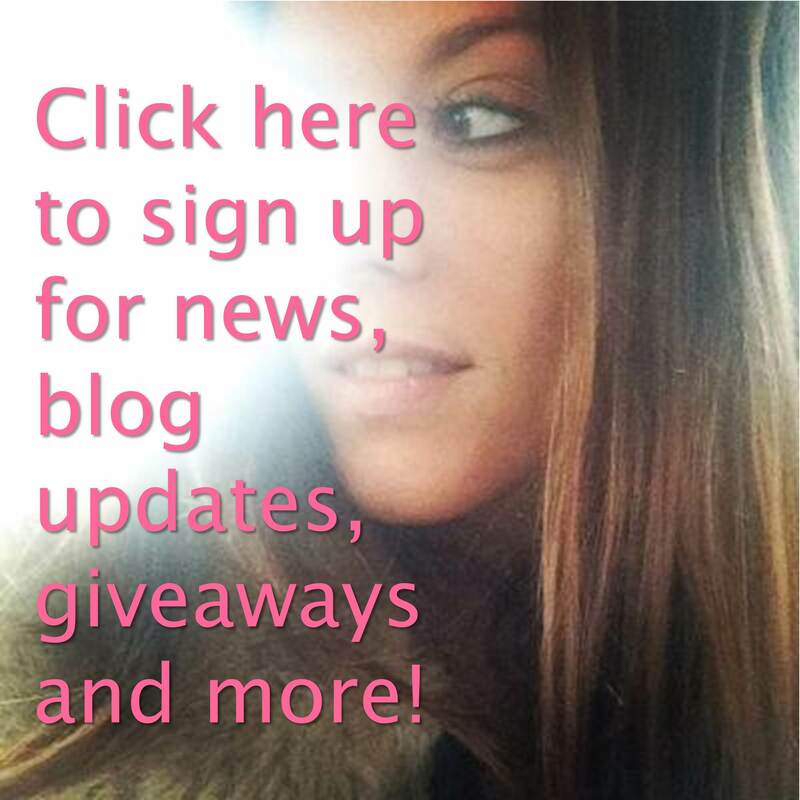 Some items in this blog post were gifted to me – or donated as part of a collaboration. I have marked these items with an asterisk (*) throughout this blog post where applicable. It’s important my readers know that I only credit brands where I feel credit is due.